Have you ever baked a cheesecake and at the end of it all, felt disappointed when you see cracks appearing on the surface, as it is baking or cooling? I know I have! 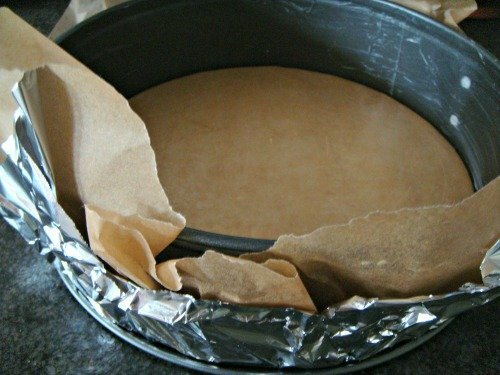 Of course, you can cover up the cracks with a topping or decoration, but for you as the baker, you know there are cracks, and perhaps you are a perfectionist, or you have a sense of not wanting to be defeated by those pesky cracks! Cracks do not, in any way, affect the taste of your cheesecake, but it does affect the appearance, and also, you can get a ‘sinking’ effect on the top of the cake. For me, it also affects my ‘pride’! So what I decided to do was write up a few notes to help you understand and avoid any cracks in your future bakes. 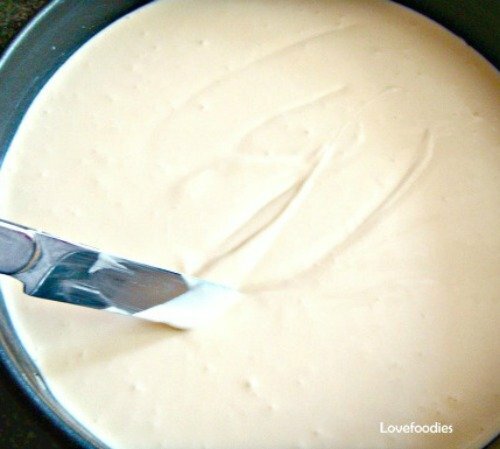 Follow the tips and I am sure you will also be able to bake a crack free cheesecake. This is a common complaint that cheesecakes will have surface cracks during or after baking. There are several reasons this can happen, and there are some steps you can take to limit or prevent the cracks from developing. However, should you end up with cracks, don’t be too upset about it! It happens to us all, and the easiest way to disguise any cracks is to add a dusting of sugar or fruits on the top of your cheesecake and no one will ever know. The flavour and texture is not compromised, just the appearance. 1. Bake the cheesecake in a water bath. This will help with an even, gentle temperature. 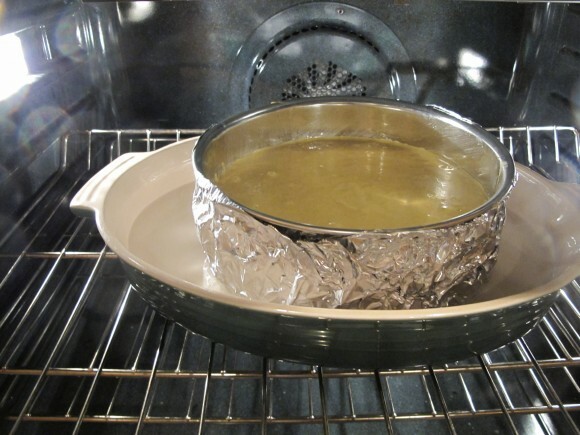 and keep the air in the oven moist and keep the oven temperature low. Remember, Low and slow will give you a nice looking cake! 2. Make sure you grease the sides of your baking pan well. 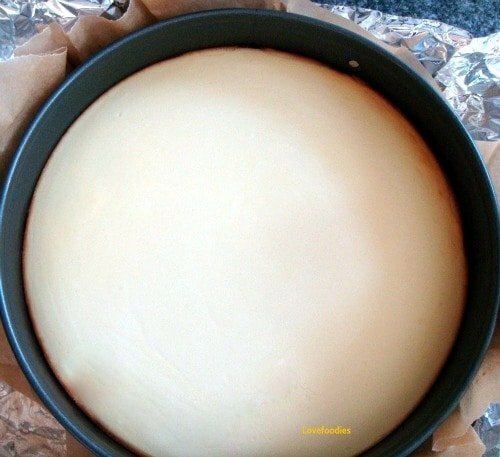 During cooking, the cheesecake will shrink and pull away from the sides. If it isn’t greased well, the cake will stick and pull, causing tension and cracking / splitting open in the middle and around the edges. 3. Don’t bake the cheesecake for longer than stated. When the time is up, you should have a wobble in the middle of the cake. This will firm as it cools. 4. Make sure you combine the ingredients well, and add the eggs right at the end. 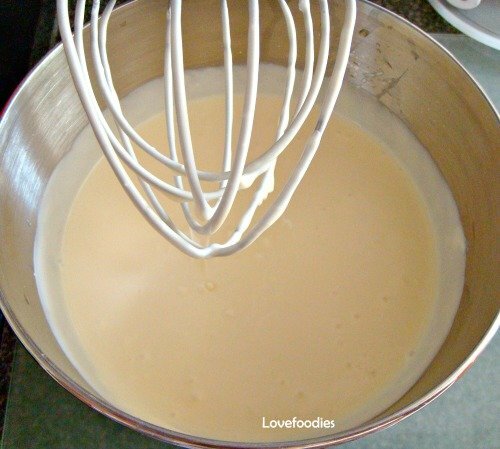 The trick is to mix the ingredients well so there are no lumps, and then once smooth, add the eggs gently beating. The eggs have a tendency to hold air, so mix the eggs in well, but slowly, to avoid getting any air bubbles in to the batter. 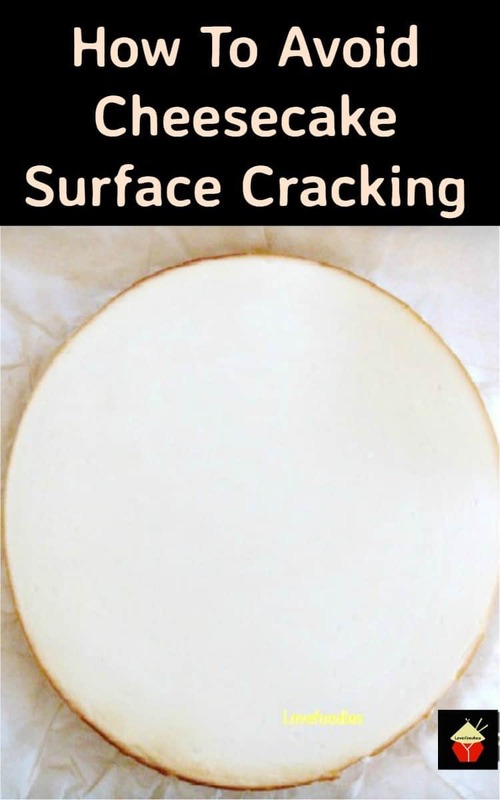 (During baking, air bubbles will expand and pop, leaving holes are areas of weakness which can contribute to the cracking). 5. When you have put the mixture in to the pan, you can also run a round bladed knife around to get rid of any air bubbles you see. This is not too important if you have followed point 4 above and reduced the risk of incorporating too much air into the mixture when beating. 6. If you have a recipe which does not call for cornflour / cornstarch, I would add a couple of tablespoons anyway, in to the batter. This will reduce the chances of cracking as the starch will cling on to the eggs and stop them from over coagulating, and thereby causing the cracking. 7. Finally, be patient and once the cook time is up, leave the cheesecake in the switched off oven and allow it to cool down inside the oven with the door closed. If you remove it too soon and try and cool it too quickly, it will crack! If you have a good recipe, and follow it well, you should not experience severe cracking. So always look out for the tips above in the instructions and then you will know straight away if it is going to be a good recipe!